Pinellas County home sales took another hurricane-related hit in October as the rest of the Tampa Bay area bounced back from Hurricane Irma. But while prices in all four counties rose once again, the rate of increase continues to slow. Hillsborough’s 3.6 percent increase was the lowest in more than two years although the county recorded the second highest price paid for a Tampa Bay home this year. According to figures released by Florida Realtors, sales of single family homes in Pinellas dropped 3.7 percent in October from the same month a year ago. That was not nearly as bad as September’s 25 percent plunge but it reflects the lingering effects of Irma, which on Sept. 10 knocked out power to more places in Pinellas than in any other bay area county. “We had basically a week to prepare, a week of dealing with energy issues and a week following that to get everybody back on their feet so it’s not surprising there was a downturn in the market,” Richardson said. The Tampa Bay area in general, though, continues to suffer from a shortage of homes for sale. Pasco showed the biggest increase in sales in October, up 7.3 percent. That was followed by Hernando, up nearly 7 percent, and Hillsborough, up 4.4 percent. Hernando had the biggest price increase for single family homes, jumping 12 percent to a median of $158,000. Pasco climbed 11.7 percent to $200,000 while Pinellas rose 10.8 percent to $229,450 and Hillsborough was up 3.6 percent to $228,000. 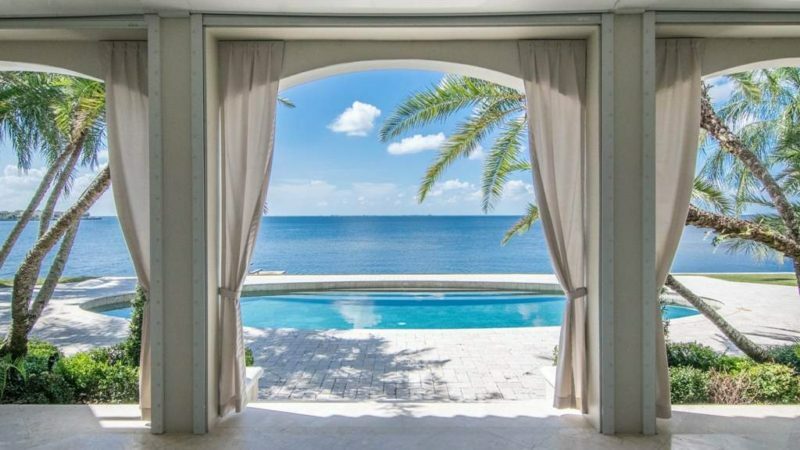 In October’s biggest transaction by far, a home overlooking the open bay in Tampa’s gated Culbreath Isles sold for $6.85 million cash to KLM Andros Holdings, LLC. According to Florida corporate records, that company’s sole “authorized person” is Anthony Bruno of 1 Steinbrenner Drive in Tampa. The New York Yankees show Anthony “Tony’’ Bruno as vice president of the team and CFO of Yankee Global Enterprises.Only one other Tampa Bay home has sold for more this year: a waterfront estate in Clearwater’s Harbor Oaks area that went for $11.18 million in April. The buyer has since put it back on the market for $19.75 million. Pinellas’ top sale in October was $3.425 million in cash for a gulf-front home in Redington Beach. In Pasco, a Key West style home with private beach went for $1 million, while Hernando’s priciest transaction was a Brooksville home that sold for its full asking price of $634,429. Statewide, sales of single family homes rose only 2 percent in October while the median price increased 7 percent to $235,558. Nationally, sales of existing homes slipped about 1 percent from a year earlier, to just 1.8 million. That’s the lowest for any October since the National Association of Realtors began tracking the data in 1999. The tight inventory nationally helped push the median home price 5.5 percent.